What does it mean to live in a material world, and how do materials of the past and present hold the keys to our future? This book tackles these questions by focusing on various issues that human beings face and by discussing potential materials-related solutions. Through the lens of intriguing projects by designers, artists, makers, and scientists, it presents a colorful panoply of ideas, technologies, and creative efforts that focus on the earth's most basic elements, while also showing how these elements can be transformed into entirely new materials. It explores, for example, how ancient practices such as dyeing fabric and making glue may hold the secret to renewable and earth-friendly consumer products, as well as how recycling plastics can tackle food waste, and how a type of light metal being developed may one day make air travel less fuel-reliant. This book also investigates the potential of the digital experience, suggesting how this most ephemeral type of matter can be used to improve our world. 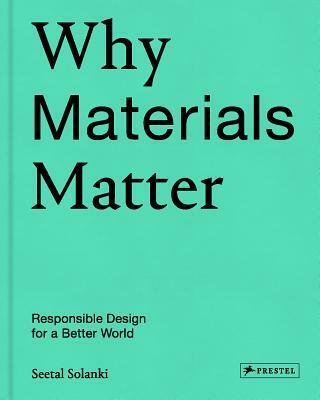 Eye-catching and provocative, Why Materials Matter serves as both a stimulating catalog of possibilities and a timely manifesto on how to consume, manufacture, and design for a better future.